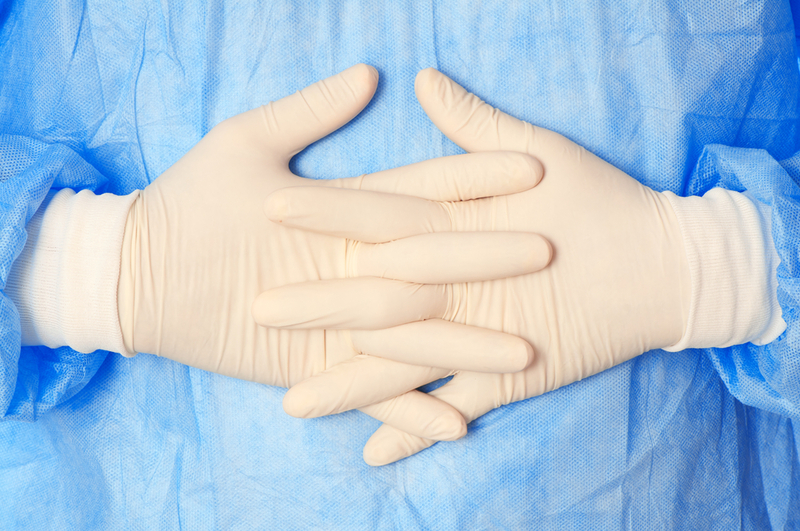 There are a variety of reasons to place patients on precautions. These are put into place to create a barrier between you and your patient. These also help to decrease the spread of germs through the hospital. Nurses should place a sign on the patient's door stating the type of precaution to be taken and what extra protective equipment you need to be wearing. Patients should be placed on isolation when the suspicion arises of a certain bacterial/viral infection, not when there is a positive culture. There are different types of isolation precautions depending on what type of germ we are protecting against. There are three main types of isolation precautions: contact, airborne, and droplet. There are certain types of bacteria/viruses that are spread more easily. As a result, nurses caring for patients infected with these types of bacteria/viruses must take extra precautions. Before entering the patient's room, we must wash our hands and don clean gloves and a gown. These must be removed before leaving the patient's room. After leaving the room, perform proper hand hygiene. Anyone who has contact with the patient must adhere to these precautions. Common types of infections that patients are placed on contact isolation for are Methycillin Resistant Staph Aureus (MRSA), Clostridium Difficile (C. Diff), Vancomycin Resistant Enterococcus (VRE), and Respiratory Syncitial Virus(RSV). Proper hand hygiene for C. Diff includes washing hands with soap and water after leaving a patient's room. Spores from C. Diff are not killed with alcohol-based hand sanitizers. Some types of bacteria/viruses are spread by breathing them in. Patients are placed in a negative pressure room to ensure that this infected air does not spread into the hallway or to other patient's rooms. The only piece of protective equipment that you must wear in these rooms is a mask. Nurses caring for these patients must be particularly careful when choosing the proper mask to wear to protect themselves. They need to have a respiratory fit test performed to determine which mask seals properly to their face. These tests should be performed yearly for employees. Common types of airborne infections include chicken pox, measles, and active tuberculosis. When someone sneezes, bacteria/viruses can travel about three feet. When entering these rooms, everyone should wear a surgical mask. If you are screening someone for influenza or doing respiratory panels to rule our certain infections, you should wear a mask until results come back negative. Common types of droplet-spread infections include influenza, Whooping cough, and mumps. Reference for this information can be found here.